courtesy of Bob Davis, 9-8-05 "Rene Paul Fonck was born in the Alsace province of France on 27 March 1894 and entered the Army as an enlisted man at the outbreak of the hostilities. In february 1915, Fonck transferred to the flying service, where he was trained as a reconnaissance pilot. In May of that year, he joined Escadrille C 47, flying Caudron G 111s and G IVs. During his nearly two year stay with this unit, Fonck managed to achieve two confirmed 'kills', comprising a two-seat Rumpler and and a single-seat Albatros D III. Shortly after this second victory Fonck was transferred to the then SPAD S VII-equipped Escadrille SPA 103, part of the famed Groups de Chasse 12, "Les Ciognes', or Storks. Fonck, always cool and calculating, went to work building his nationally unsurpassed tally of 75 confirmed victories, aided by an almost uncanny degree of markmanship. 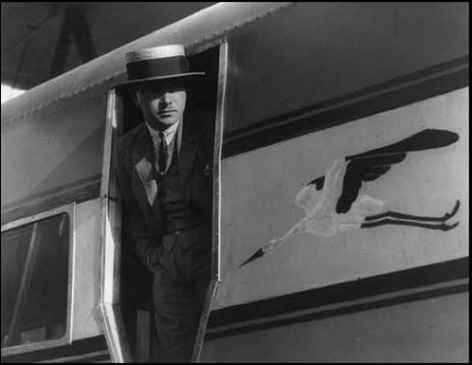 The opposite of the impetuous Nungesser, Fonck, like many of his fellow French aces, preferred to stalk his victims alone, sending them to their fate with clinical precision. 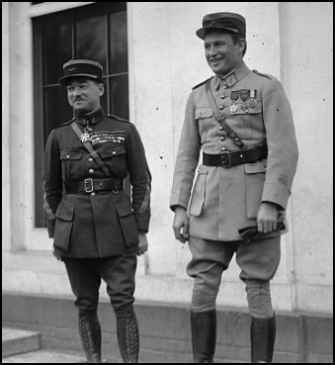 Capt Réne Fonck and Maj Georges Thenault at the White House, Oct 29, 1925. 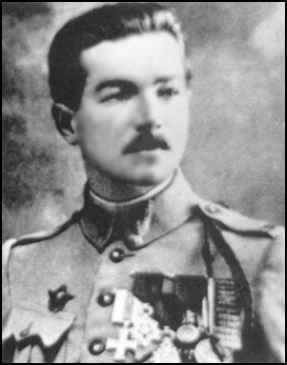 Fonck survived the war as France's leading air ace. Staying in aviation, Fonck twice failed to make the first west-to-east transalantic crossing in 1926 and 1927, narrowly avoiding his own premature end in the crash of his big Sikorsky S-35 on 20 Septenber 1926. 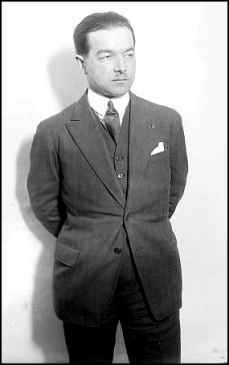 Between 1937 and 1939, Fonck served as the French Air Force's Inspector of Fighter Aviation, priorto becoming a high profile emissary for the Vichy French regime. 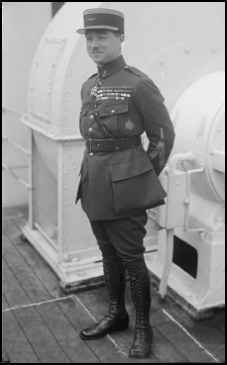 Fonck died, largely unsung, in June 1953." ONLINE RESOURCES If you search for "Réne Paul Fonck" +aviation , using the Google search engine, (11-5-05), you will find about 68 links. René Paul Fonck This page on The Great War Flying Museum website offers a very nice portrait of Réne and a short but comprehensive biography of him. You can access the page by clicking on the title above. By all means, if time permits, visit the homepage of the site and at least sample some of the many features which are available. You will find photos and biographies of Aces from 12 countries, a fabulous resource. Also you will find a section devoted to the planes ot World War I, including many who are to be found in the Museum collection. This is a must-visit website for the early aviation buff. From Wikipedia, the free encyclopedia. As we are coming to learn, the entries on Wikipedia are usually very valuable resources and represent good places to start. You can access the page by clicking on the title above. If you will go to Amazon.com and locate the book, you will have the option of sampling many pages from the book. All you have to do is click on "search inside the book", which you will find right below the photograph of the cover. The pages will be displayed on full screen and are a tantalizing sample of the contents. 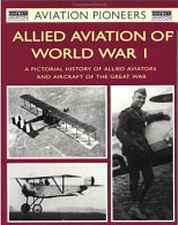 "Among them are his short experience in Flying Circus as aviator before the Great War--when his chif--going up in the air told him not to go up with him this time as pilot--and after going up solo to 1000'--plunged down to his death." That broke up the Flying Circus, which number Fonk--later a French flying ace in the Great War--as one of its members." I believe the "Fonk" mentioned here is Rene Paul Fonck, but I can find no evidence that Fonck ever flew before the start of World War I. Do you have any evidence that he did? Were there Flying Circuses in the U.S. prior to World War I? Do you think this story can be verified? Editor's Note: If you can help Mr. Gwin to resolve his question, please contact me. I will forward your message to him.